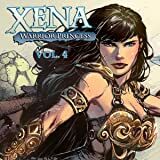 Dynamite Entertainment is proud to revisit the early years of Xena: Warrior Princess with this complete collection of the beloved heroine's 1999-2000 comic book adventures, originally published by Dark Horse Comics. 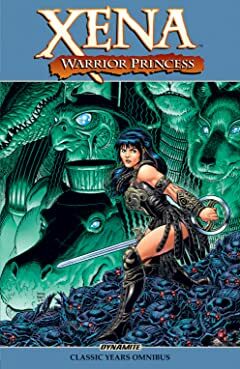 With comic book storylines overlapping Seasons 5 and 6 of the hit television phenomenon, the fourteen issues herein present three complete arcs: "The Warrior Way of Death", "Slave", and "Blood and Shadows". 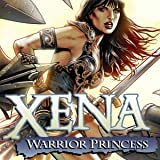 Journey with Xena and Gabrielle through the high-kicking, sword-swinging escapades of yesteryear! 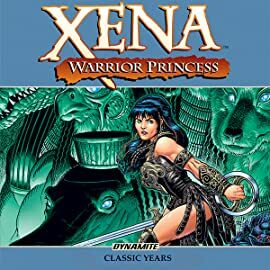 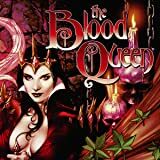 Xena and her well-loved cast of friends and villains get in between a feud that reaches all the way up to the heavens as they fight in the ""Contest of Pantheons"" featuring Xena, Gabriele, Joxer, Autolycus and the return of Callisto!